Who is a SEO tool junkie? I will be the first to admit that I am an absolute junkie when it comes to SEO tools. If I see a new tool that I like and has a potential, I’ll buy/subscribe it. That includes white, grey and black hat tools. Let’s be honest with ourselves here, every good SEO out there has done a little black hat stuff in the past right? I know I have, I personally like to test the boundaries and see how far I can push before I get burnt. As we all know, blackhat stuff don’t work anymore and it is definitely not sustainable. If you want to know more about the tool, visit the site here (not affiliate link). What I am going to cover in this blog post is how I use the tools for my own research and analysis. 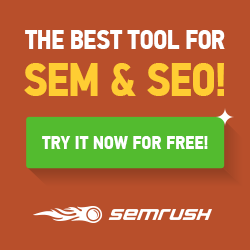 This tool is a massive time saver when it comes to keyword and blogger outreach research. Every SEO has their own unique way of conducting keyword research. My approach is always to go BIG, get all relevant data from several sources and apply my own flavour of selection/filtering process. That way you can be sure that you’ve covered all bases. So, in addition to using the Google Keyword Tool, Wordtracker or Uber Suggest – I also take advantage of Scrapebox. Using the tool is as simple as entering some keyword ideas, selecting the source that you want to scrape data from and hit the ‘scrape’ button. Go grab a drink from the kitchen and come back after a few minutes. As you can imagine, this is a massive time saver! Not to mention the diversity of data from using multiple data sources. I am not going to through in detail what you can/need to do with this data because Marty Weintraub from Aimclear has wrote a pretty detailed post about this. Check it out here. Another awesome feature that the tool has is harvesting URLs based on keywords and footprint of blogs. Scrapebox has incorporated the WordPress, Movable Type and Blog Engine footprint but what makes things even more interesting is the ability to create your own Custom Footprint. Firstly, I would harvest URLs based on built-in footprints such as WordPress and Movable Type. Once you have built a decent list of URLs from built-in footprints, I would then start using advanced search operators as custom footprint. As you can see, that literally tripled the number of URLs. You can repeat the same process using different advanced search operators and custom footprints. Once you are happy with the list, the tool can clean up the data for you too. Remove any duplicate URLs and duplicate domains. Once you remove duplicates, you should have a much cleaner set of URLs that you can work with. You can also use the tool to pull in PageRank data. And the final step would be to export this list in to CSV or Excel. Now, you have a list of blogs/websites that you can approach and outreach to. And the best part of it is, that whole process literally only took a 10-15 minutes. If I were to manually do it, it would have taken me hours. Yes, I know that there are other awesome tools out there to can help with blog prospecting like Buzzstream and Citation Labs. This post in meant to prove a point that tools that have been abused for spamming and blackhat tactics can also be used for legit and whitehat tactics. As usual, I’m always up for a discussion. Feel free to leave your comments below and share some of your experiences with Scrapebox.